Note: All products in this post were submitted to Make Life Special for review by the respective company, or its affiliates. No other compensation was received. The reviews in this post are honest and my own. 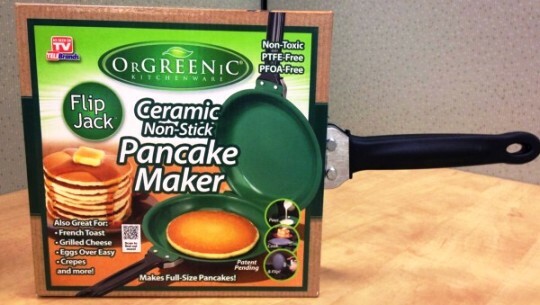 For the breakfast gourmand there is no better gift than the Pancake Maker. While this thing is great at omelets and even grilled cheese sandwiches—it was born to make pancakes. Don’t have griddle? Tired of elliptical edibles? Get the Flip Jack Pancake Maker for the breakfast eater in your life. They are cheap enough; you may as well get a second so that you can have two cooking at the same time! 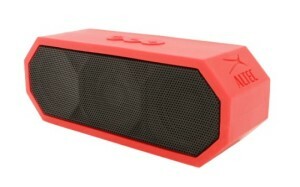 The Jacket is a pretty slick little speaker with big speaker sound. It pairs easily, has a long-lasting battery (up to 8 hours) and is definitely one of the most attractive Bluetooth speakers on the market. Each speaker comes with a choice of two silicone “jackets” to customize your look. Almost everybody likes a little bubbly in their beverages. Individual preferences, however, can make purchasing soft drinks and seltzers for home use rather cumbersome and expensive. This is where the Sodastream system shines. With one soda maker, you can make virtually all of your favorite soft drinks, uncolas, seltzers—and, more recently—juices. 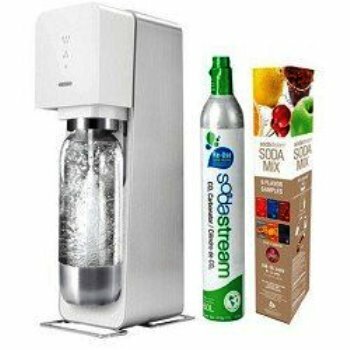 As a company, Sodastream has worked hard to expand their product line and offer something for everyone. In my opinion, the Sodastream Source is their best offering yet. It is the first soda maker that I have ever wanted to leave out on the counter. 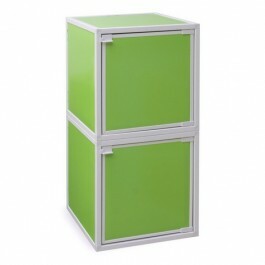 Available in many colors, it is stylish, svelte, and of very high quality. As if being one of the greatest pitchers in the game wasn’t enough, baseball legend Nolan Ryan now slings some of the greatest cuts of beef that money can buy. While Texas residents can find these excellent steaks at their local Kroger’s or Albertson’s, those of us outside the Lone Star State can utilize their tantalizing website to get our grill on. All steaks are shipped promptly in an impressive, thoroughly frozen thermal cooler. 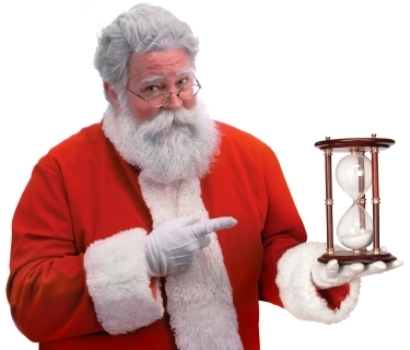 Want something to give now? Buy a gift certificate from the website at http://nolan-ryan-s-beef-store.mybigcommerce.com/giftcertificates.php . Let’s face it, most landline telephones today are pretty utilitarian: the phones are plastic blocks designed to fit into slightly larger plastic blocks—that, my friend, is the extant of modern telephone design. 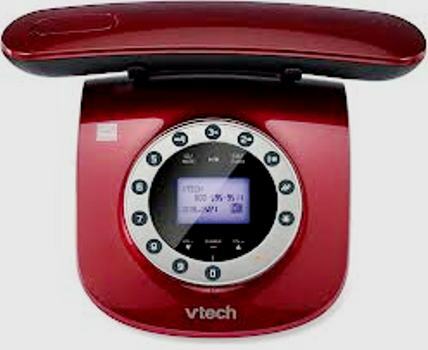 Especially with the ever-increasing VOIP technology like Vonage or magicJack, it is high time for a landline phone design revolution: enter the Retro Phone. The Retro Phone, as the name implies, finds its inspiriation in the past. The handset, base, and overall design calls to mind an old rotary phone (you remember, the phones that actually looked like the phone symbol?) While its design is retro, its features are cutting edge: DECT 6.0 technology, cordless handset, Caller ID, Call Waiting, Dual Back-lit displays, and dual speakerphones. Bottom-line: This is a phone that you want to look at, maybe even put on display! Okay, so maybe you don’t want to leave this treat under the tree for too long, but who says you can’t put a wrapped gift in the freezer? While every pie by Edwards is excellent, including their Hershey’s Chocolate Crème and Key Lime pies, the Salted Caramel Pie really stole my heart. With just a few minutes of thaw time, you can dig your fork into a chewy, caramelly, delicious goodness. 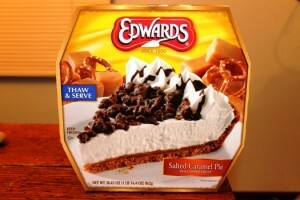 The little bit of salt balances this taste perfectly—it is really rare to get this level of culinary perfection out of a box, but Edwards does it! For More Information: Check out their Facebook Page. For the Historian – In Meat We Trust: An Unexpected History of Carnivore America by Maureen Ogle. While most of us know that meat isn’t spontaneously created in cellophane packages, most of us don’t really know much about where our meat comes from—and even less about how that system came to be. Ogle traces the history of the American meat industry from colonial times to our modern factory, mega-farms. 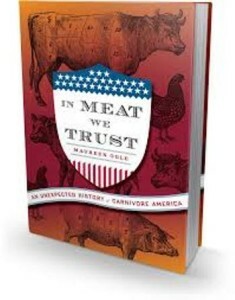 It is a fascinating and worthy ready for history buffs and meat-eaters alike. Where to Buy: Barnes and Noble, Indiebound, Powells Books, Many local bookstores. 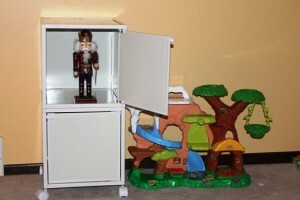 This is one of those AS SEEN ON TV gizmos that I really wish I thought of first. 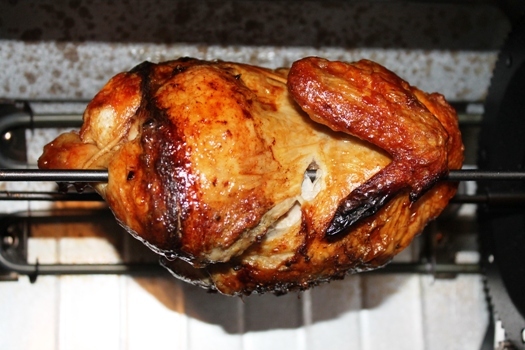 Roasting poultry has always seemed like it just took forever. Plus, it demanded your complete attention: you couldn’t afford to under cook them—but then again, if you cooked them too long, you risked drying them out. The Turbo Roaster fixes both these problems. By cooking the inside of the bird with steam, the cook time is cut in half, and the bird comes out juicy and moist—everytime! Note: Hachette Book Group supplied me with one bag each of for review. No other compensation was received. The review in this post is honest and my own. I would be lying if I told you I am a huge fan of college football. I’m not. I don’t have my DVR set to record the next big game and I certainly don’t pay extra on my TV bill every month to get an all access pass to college sports. But, I am a fan. I always root for my alma mater (go Louisville Cards!) and I will always root for University of Kentucky to lose no matter who they are playing. I follow the game fairly well, thanks in part to my husband’s love of playing Madden on our Play Station. That being said, I really enjoyed this cookbook. It was really neat to read about the eateries associated with some of the biggest teams in college football. The book is filled with stories and told in such a way that you almost forget you are reading a cookbook. I like that Blackledge tells you about restaurants even if a recipe is not featured. In that way, the book is part cookbook and part travel guide. I’ve already made a note to visit Ye Old Steakhouse next time I am in Knoxville, TN. But, until then, I have a lot of recipes to try out in my own kitchen! 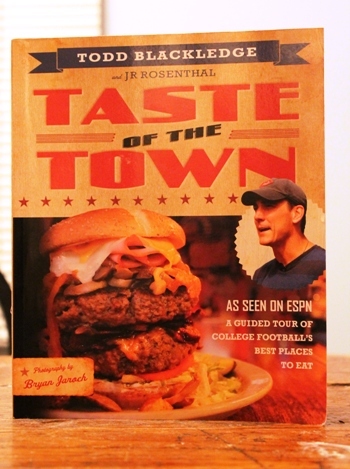 I would recommend this book to any fan of Mr. Blackledge’s Taste of the Town segment on ESPN. I also recommend this for any fan of college football… especially if they travel for games! Or, you can shop online at Amazon, Barnes & Noble, Books a Million, Indie Bound, Powell’s Books or Indigo. Note: Tyrrells Chips graciously supplied me with seven bags of chips (one each flavor) for review. No other compensation was received. The review in this post is honest and my own. I fell in love with English style chips when I visited England, Ireland and Wales during the summer of 2004. 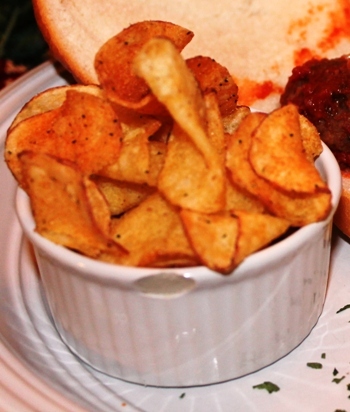 The flavor, the texture, the refined ratio of salt to potato… delightful! Perhaps I am a potato chip snob, but the standard American grocery store potato chip purchase leaves me rather underwhelmed. I find them to be too salty. Usually, if you find a bag or two in my house it is because my husband wanted some snack foods. Either that, or we just had a grill out with friends. My complaint about chips being too salty does not apply to Tyrrells Chips. The chips that have a flavor other than salt are flavored quite nicely. My personal favorite was the Mature Cheddar & Chives. They had a strong taste of real cheddar, not generic processed cheese. The Lightly Sea Salted Potato Chips were very delicate in their taste and you could still taste the potato (which I liked very much). The Sea Salt and Cracked Black Pepper did not skimp on either the sea salt or the cracked black pepper; in fact, I have to say that they are the best “salt & pepper” style chips I have ever eaten. My husband devoured the Sea Salt & Cider Vinegar and the Worcestershire Sauce with Sundried Tomato was surprisingly good. I would have never thought of putting Worcestershire on a potato chip, but it works very nicely and goes great with a strong cheese. I have to admit that any anglophile will adore these. So, any friend of yours who celebrates the birthday of “The Queen” every year with a complete tea service will love you forever for buying these for them. If you are looking for something special to get your favorite cubicle mate, or a small token of your affection for your hairdresser, building security guard, or favorite study partner in college then a bag or two of these delightful chips would be a great choice! I also recommend these as part of a gift basket. Paired with some good beer, some cheese, cured meats, and a few gourmet candies these would go from a good gift to an outstanding gift. You can purchase these products and view their whole product line by visiting Tyrrells Chips. They are also available at Amazon. Note: EatSmart Products supplied me with one EatSmart Precison Pro Digital Kitchen Scale for review. No other compensation was received. The review in this post is honest and my own. 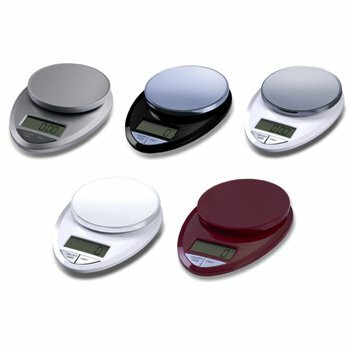 I have been a kitchen scale user for quite some time. I’ve gone through two of them over the past 5 years (One met its unfortunate end by getting too close to a stove burner that I thought was cool…. It wasn’t and plastic kitchen scales will melt). I really like kitchen scales for all that they can do and the EatSmart Precision Pro is no exception. The Precision Pro is very versatile. 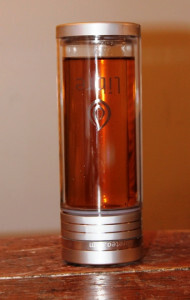 It can measure in pounds, ounces, grams and kilograms. It has a tare feature that allows you to subtract the weight of any plate or container or reset to zero to add a second ingredient to your bowl. And, at only 13 ounces, the Precision Pro is lightweight and very compact. Don’t be fooled though, this scale is no lightweight (pun intended); it can weigh up to 11 pounds. I use kitchen scales a lot while baking. I have found that weighing ingredients yields more consistent products than measuring by volume. And, a lot of my more “professional” cookbooks (and every European cookbook I own) give me the measurements by weight. I also use my scale to help reduce the mess of cooking. I have found that measuring everything into one bowl (and using the tare button to reset the scale between ingredients) has eliminated a lot of dirty spoons and cups. I’m also a huge fan of using my kitchen scale as part of my “buy bulk to stay on budget” process. Every month my husband and I make a trip to our local wholesale club and buy meat, produce, grains and other grocery related bulk purchases. Then, when I get home, I use my scale to divide our purchases into useable sizes. I know that every package of ground beef in my freezer is 1 pound and that each package of chicken is 1.5 pounds. This scale is very helpful at staying on a diet. This scale makes it very easy to measure out exact portion sizes. 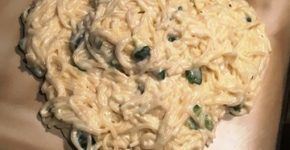 I am easily able to measure out 6 ounces of chicken or 56 grams of pasta. So, when I prepare a meal for myself. I know exactly how many calories I am consuming. 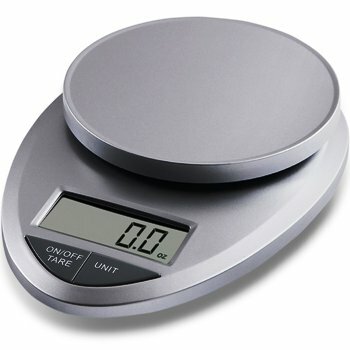 I recommend this Precision Pro scale as a gift for every baker, home chef or dieter in your circle of friends or family. Five beautiful color and finish choices! Note: PR by the Book graciously supplied me with one copy of Muy Bueno for review. No other compensation was received. The review in this post is honest and my own. 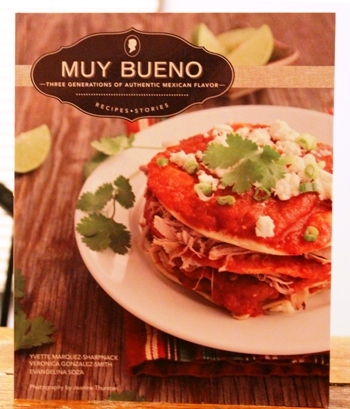 I am ashamed to admit it, but, until this cookbook graced my door, I did not own a Mexican food cookbook. I LOVE Mexican food, but have been a bit timid to jump off into the world of homemade tortillas and anything involving tripe. But, more importantly, I did not have a teacher to teach me the ropes of Mexican cuisine. That changed when I read this book. The stories and teachings this book offer are excellent. I felt like I was sitting down with a cup of tea for a good chat with an old friend. I read stories of their memories and experiences and learned quite a bit about old-world northern Mexican cuisine, south of the border home-style dishes, and Latin fusion. I also love that each recipe has a silhouette that denotes which generation the recipe came from. I had a hard time choosing which recipe to try first. Old-fashioned Mexican Oatmeal sounded warm and cozy, Stacked Red Enchiladas sounded like a nice challenge… I decided that the Lentil Soup was calling to me the loudest. And, I am soooo glad that I prepared this dish! I love lentil soup. It really is a classic dish. 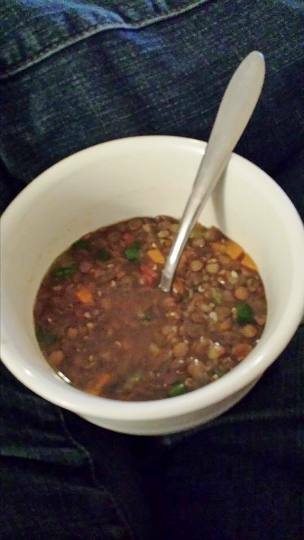 I will come clean and tell you that I have always used canned lentils and have never cooked fresh or dried lentils. I know, I know, tsk tsk on me. 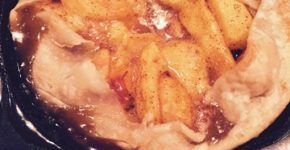 The ingredients listed were simple and the directions easy to follow. 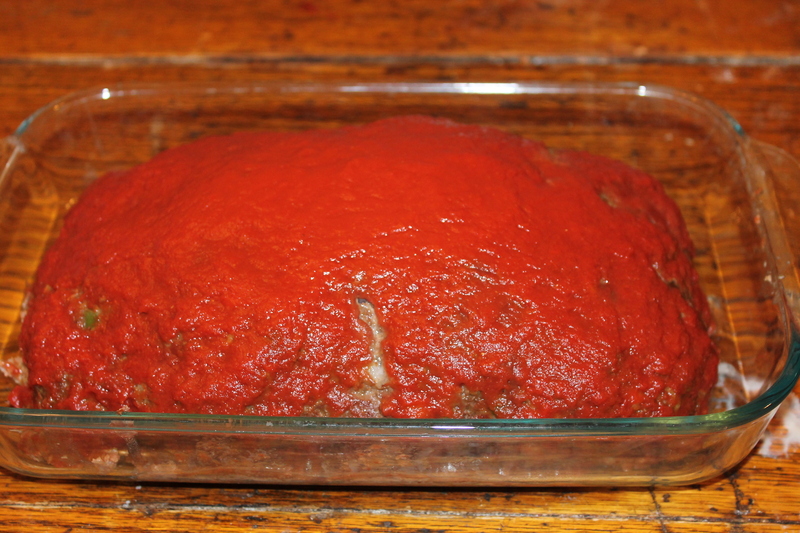 Like every other recipe in the book, there was a gorgeous color photograph telling me what I could expect as my end result. I greatly enjoyed settling down for a movie with my son and a big bowl of this delicious soup. My son, who is a soup lover, enjoyed his cup and asked for more. 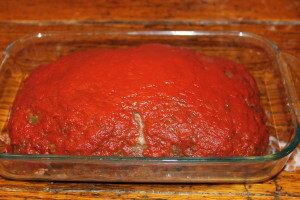 I love it when I make a nutritious recipe that he will eat a second helping of! I enjoyed that we had enough left over for two additional meals! Anyone who enjoys flavors of the Mexico will like this cookbook. Muy Bueno is currently available on Amazon, Barnes and Noble, or Indie Bound . Note: PR by the Book graciously supplied me with one copy of The New Southwest for review. No other compensation was received. The review in this post is honest and my own. My husband and I are fans of Mexican food. We vacation there as often as possible. But, the American versions we have tried all rely heavily on cilantro. I don’t mind, but my husband finds cilantro to taste “soapy.” He hates it so much that he has actually researched why it tastes soapy to him. My husband looked through this cookbook expecting to automatically exclude half of them due to the use of cilantro. He was quite surprised, and happy, to find that Micozzi does not rely on cilantro. She uses parsley in its place because she too has found cilantro to be a divisive herb. I had to wait quite a while to look the cookbook over myself. My husband handed it to me and said “I want to make everything in here.” After looking it over, I have to agree. Every recipe looks amazing. And, the variety in the recipes is exceptional. Salsas, Sauces, Breads, Tortillas, Main Dishes, Grilled Items, Desserts, etc. 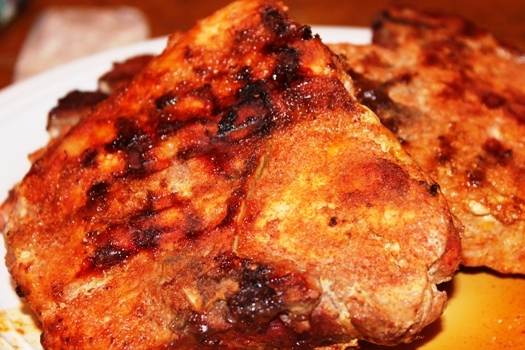 I chose to make Chile-Rubbed Pork Chops. I have never made a pork chop quite like this. I’m much more of a sauce covered pork chop kinda girl. Or, I make sure to cook them with a fruit of some stripe. These are not saucy or sweet. They are dry rubbed with a chile based spice mix. With it being freezing here in my part of the USA, I used my indoor grill plate. I was nervous the entire time I grilled them. Would I like them? Would my husband like them? The answer to both of these questions was a resounding “Yes!” My husband told me that these are the best pork chops he has EVER had. I have been instructed to not only make these again, but to also start cooking every recipe in this cookbook! Anyone who enjoys flavors of the Southwest will like this cookbook. If you know someone who enjoys Mexican food and complains about the cost of eating out, or someone who likes flavors of California cuisine and can’t find a restaurant that specializes in it… this is definitely the book for them! 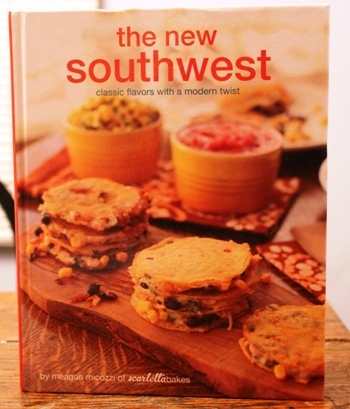 The New Southwest is currently available on Amazon.com, Barnes & Noble’s BN.com or IndieBound. 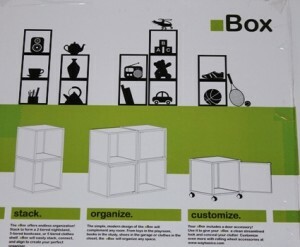 Note: Way Basics graciously supplied me with two White Box Storage Cubes and two sets of wheels for review. No other compensation was received. The review in this post is honest and my own. I recently became aware of a fantastic company called Way Basics. They are inspired to do things right and keep things simple. They believe in treating everyone as a friend, protecting the environment as if it was their home, and finding creative solutions to over complicated challenges. Way Basics has made a heartfelt commitment to contributing to those in need. Buying from Way Basics improves the world in other ways. They work with furniture banks and charities around the country by helping families in desperate need — victims of natural disasters who have lost everything they owned, women and children escaping from domestic violence, working families below the poverty line, and others requiring a hand up not a handout. My heart melts when I read their blog and their stories. And, they have created some amazing products. They have created a board that they call ZBoard. It is not made of wood chips like other products, it sustainably made from recycled paper. They are toxin free, 100% recyclable, are 62% lighter than particle board and have a zero impact on our landfills (if recycled). The icing on the cake is that the assembly of the storage units requires zero tools. To put the doors on the storage cubes there are 4 screws, but, because I didn’t feel like digging thru my husband’s unorganized tool box, I actually used a butter knife. The boxes measure 13 inches in width, depth and height. They would be perfect for organizing spices or cookbooks in the kitchen, toys in your children’s rooms, supplies or papers in your office, or shoes and misc storage in a closet. I think it would be really neat to mix multiple colors and create a modern designed organization piece. Way Basics would make an excellent gift for the college student living in close quarters, people who tend to move frequently and need easily transportable furniture, or anyone who has expressed that they need to be better organized. 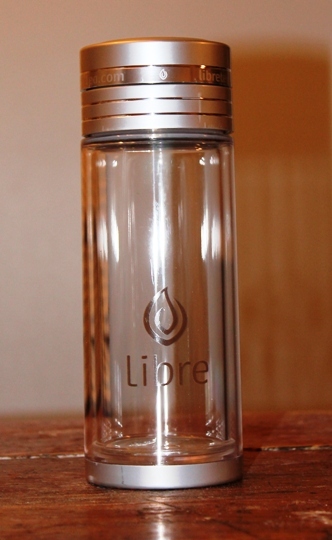 Note: Libre Tea graciously supplied me with one Libre Glass n’ Poly Large for review. No other compensation was received. The review in this post is honest and my own. My love affair with tea started the summer between 8th grade and 9th grade. I remember my first cup of Earl Grey. It was hot outside and I was sitting on a patio at my favorite restaurant with my dad. The owner, with whom we were friends, came by with a box of teas they had just gotten in from England. He offered me a cup. I accepted. I’ve had many, many cups of tea and many varieties since then. But, I remember the porcelain cup and the conversation. When I got to sample the Libre Glass n’ Poly I was immediately excited. My son, who is two, has destroyed almost every tea infuser I had. He’s been able to reach the drawers in my kitchen for quite a while and has a thing for anything ball shaped. 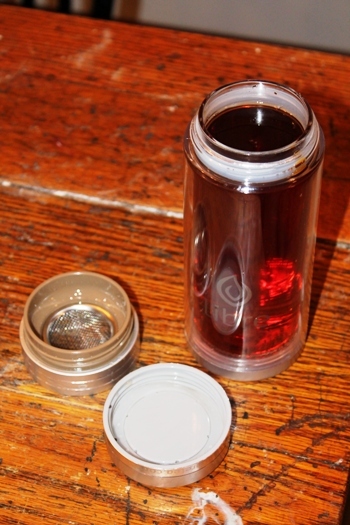 The idea of brewing my tea IN my cup, being able to reuse the leaves for a second cup, and having easy clean up was exciting. According to Libre’s website, you can use their mugs 3 ways. You can read the How-To and watch a video on their Website. 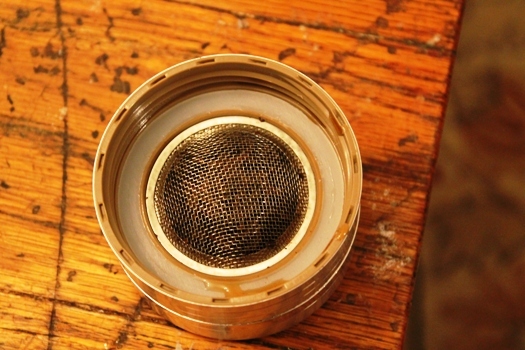 Fill the mug with hot water, attach strainer, add tea, close lid, invert and steep. Then you remove the lid and strainer combo to have a cup of tea. You can discard the leaves or reuse them for another cup. The mug works great! I’ve taken it with me to yoga, while driving around town running errands, and at my desk working on blog posts. Best of all, my son has shown ZERO interest in destroying my new favorite tea mug. This would be a great gift for any tea drinker: your child’s favorite teacher, that co-worker who makes showing up on snowy days not quite as bad, your yoga teacher, your high school or college age student on-the-go, etc. The size would work for a stocking stuffer. For Mom, Dad, or any close relative, I would recommend this item be paired with some nice loose leaf teas… some of those “blooming teas” would be amazing with this since you can watch them bloom through the clear mug. You can purchase a Large for $29, an Original for $24, or a Mug for $29 by visiting Libre. 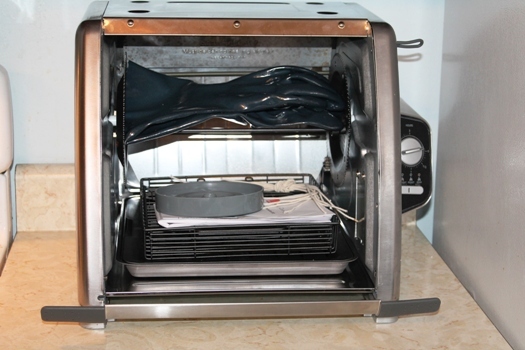 Note: Ronco Holdings graciously supplied me with one Showtime 5500 Stainless Rotisserie for review. No other compensation was received. The review in this post is honest and my own. I, personally, love chicken. My son loves chicken. My husband…. Well, he could take it or leave it. And, unless it is fried, he usually will leave it. He is a steak and potatoes kind of guy. So, when it came to testing the Showtime 5500, I thought for sure I was going to rotisserie a chicken and be eating it for my lunch all week. I was wrong. I was very wrong. I even had to go back to the grocery store to supplement since I didn’t have the chicken I KNEW would be left over. But, how can anyone turn down a bird that looks this good? Right? I prepped the chicken with some lemon and herbs, tied it with the food cord per the directions, stuck the bird on the rotisserie, and let it cook according to the recommendations based on my bird’s weight. My home smelled divine. When my husband arrived home from work he was stuck by the aroma, filled up his plate, and ate his whole serving. What impressed me the most was the clean up. I knew it was easy to use. I really liked that I could turn the heat off while keeping the rotation going. So, while my side dishes finished cooking the chicken juices stayed evenly distributed. But, I was worried that the clean up would be a chore. Surprisingly, it was very simple. I had to clean the drip tray which was easily removed and cleaned. Then, I removed the heat shield and gave it a thorough wipe down. All that was left was to wipe down the interior walls, clean the rotisserie element and put it all back together for next time. My total time commitment for the cleanup was about 8 minutes. 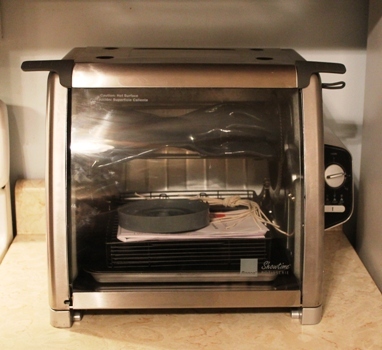 A Showtime 5500 Stainless Rotisserie would be a great gift for the young adult who recently moved into their first apartment. I also recommend it for any busy adult who needs/likes to create healthy meals for themselves and/or their family. Also, if you know a friend or family member is trying to make better lifestyle changes for their health and wellness then this would be a well received gift! With a price of $199 plus Shipping and Handling, you can be purchase at Ronco. 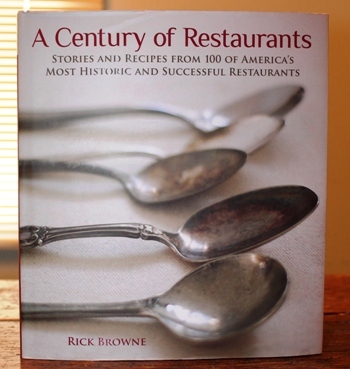 Note: Andrews McMell Publishing, LLC graciously supplied me with one copy of A Century of Restaurants for review. No other compensation was received. The review in this post is honest and my own. My husband and I love to travel to places with a rich history. It’s pretty awe inspiring to sit in a building where someone famous once sat, or eat a dish that was served over a hundred years go. We have really enjoyed reading A Century of Restaurants. It features 100 restaurants, each of which have been in existence for over 100 years. The oldest restaurant in this book opened in 1673 and the youngest in 1911. TV personality Rick Browne took on a big challenge when he began the journey to create this cookbook. It took him 3 years, 2 months and 12 hours. He logged 46,066 miles by car and airplane. It had to have been very taxing. But, I am so happy that he finished the task. Full of color photographs and stories, Browne takes the reader on a journey through America. The restaurants are alphabetized by the state in which they are located. You start in Alabama and end in Wyoming. But, if you have a certain state you are curious about, you can jump in wherever you like. There is even a map in the back of the book showing you the routes he took on his journey, so you can read the book in that order as well! As great as reading about the history of American restaurants is, and it is fascinating, this is a cookbook at heart. I felt nostalgic when I picked my recipe to test. You see, I graduated from the University of Louisville. 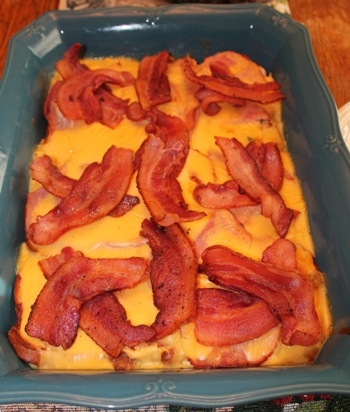 And, I haven’t had a Hot Brown since I left Kentucky many years ago. When I saw The Old Talbott Tavern from Bardstown, KY not only made the book, but also contributed their Old Hot Brown recipe I knew exactly what I was going to make! I was not disappointed. Although I didn’t have individual large ramekins to cook the hot browns in, I was able to make the dish in a large casserole dish. My husband and I were immediately transported back to Kentucky. We spent the whole meal talking about our college adventures, bourbon, our wedding (in Louisville), and how much we can’t wait to go back to visit friends and some of our favorite restaurants in the world. A Century of Restaurants would be an excellent gift for cookbook lovers, history buffs, and anyone who has an interest in time tested recipes. With a list price of $40, A Century of Restaurants can be purchased at most major bookstores (many of which are having great sales on cookbooks this time of year!). Or, you can order a copy from Amazon!